My work is strongly influenced by feminist history and I use traditional craft methods associated with women. I juxtapose this with contemporary language and taboos subverting these traditional forms. Employment As well as my own fine art practice I work part-time at the University of Southampton and teach knitting. I worked in many varied secretarial positions in the UK between 1986 and 1990 when I moved to Canada. Whilst in Vancouver I worked as an Art teacher in the pre-school and primary sector. 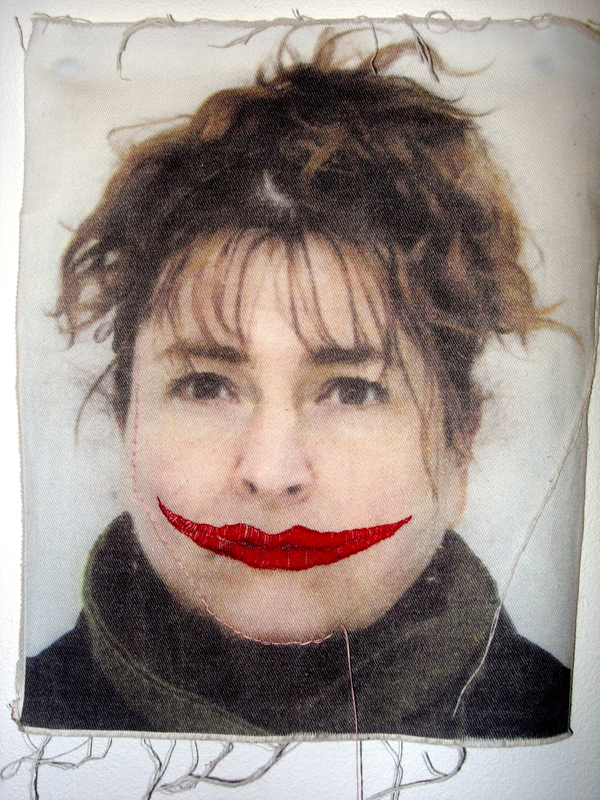 I returned to the UK in 1995 to fulfill a lifelong ambition of going to Art School. While studying I also worked part time as a carer for the elderly, shop assistant, bar and box office assistant. The majority of my employment has been in roles strongly identified as “women’s work”. My early career in the caring and service industries has contributed to and informed my current art practice which is heavily influenced by ‘the feminine’.